Wealthy socialite and bride-to-be Tracy Lord (Katharine Hepburn) finds herself pursued by two prospective suitors, neither of whom happens to be the man she plans to marry tomorrow. Ex-husband C.K. Dexter Haven (Cary Grant) disrupts Tracy's plans not only by barging in unannounced, but also by dragging cranky reporter Mike Connor along in his wake to cover the wedding for his magazine and to wreak further chaos. Tracy's fiance George (John Howard) barely merits a footnote even as his own day of bliss approaches. 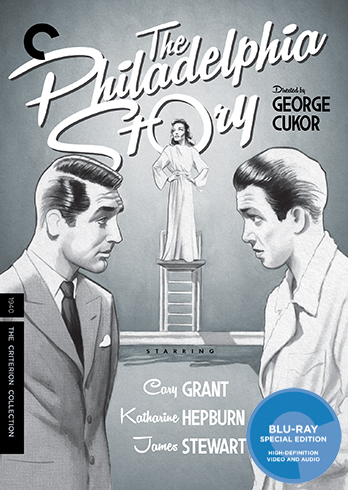 Director George Cukor and screenwriter David Ogden Stewart adapted “The Philadelphia Story” (1940) from Philip Barry's 1939 smash-hit play, also starring Hepburn. The project was designed from the outset as an effort to re-establish Hepburn as a star after a series of box-office failure in the late 1930's, which included the now-beloved “Bringing Up Baby” (1938). Hepburn exerted considerable control over the production from the earliest stages, from choosing Cukor to direct to selecting her co-stars (though she initially wanted Spencer Tracy as one of the leads), and the result was a career re-defining triumph, scoring big at the box office and also at the Academy Awards. Like most romantic comedies of the era, the film relies almost exclusively on the blunt force power of star charisma on which the world-conquering Hollywood system was built. 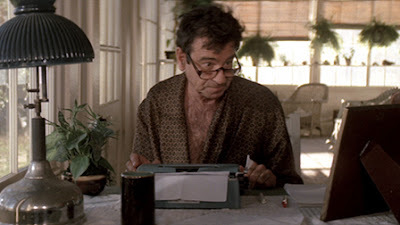 Every seemingly implausible or rushed development in the script has a simple justification. 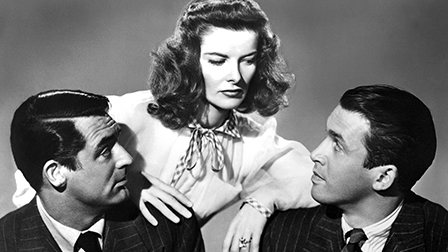 When the cynical Mike abruptly stops grumbling about the corruption of the upper-class and confesses his undying admiration for Tracy, there is only one explanation for his change of heart: she is Katharine Hepburn, and everyone loves Katharine Hepburn. Why does the poised, urbane Tracy still fall for the boorish, narcissistic, alcoholic who once hit her? Because he's Cary Grant, and everyone loves Cary Grant. All of which goes triple for Jimmy Stewart. I confess that I am largely insensitive to the charms of studio mega-stars, a natural defect which generally leaves me less receptive to the romantic comedies of the golden age than most other viewers are. But I can still acknowledge the impeccable sense of timing Cukor and his cast enjoyed, as well the myriad of little flourishes provided by a deft script engineered to augment the strengths of the performers. Stewart repeatedly spits out the full name “C.K. Dexter Haven” as an accusation targeted at an entire privileged class. Hepburn endures a baseless series of accusations blaming her for the shortcomings of every man in her life without losing either her patience of her dignity. And Ruth Hussey outshines the top-line stars in an underappreciated role as a photographer and Mike's ill-treated love interest. The ending is utterly ludicrous, but it's Hepburn, Grant, and Stewart. No need to ask further questions. 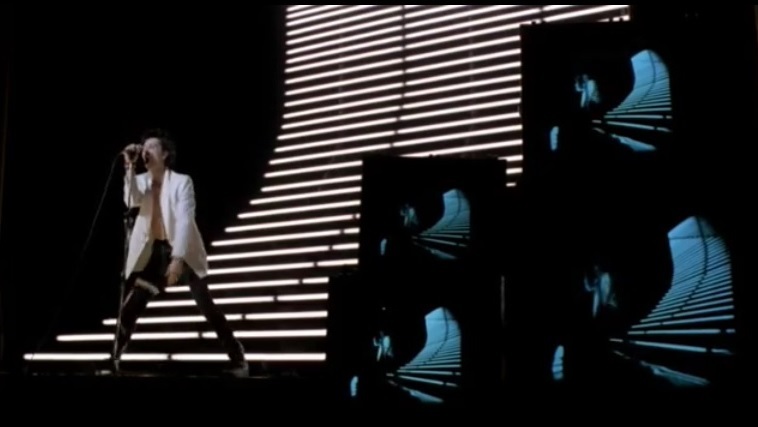 The film is presented in its original 1.37:1 aspect ratio. 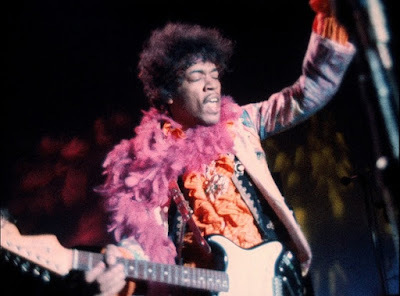 The film's original camera negative was destroyed in a 1978 fire, so you would expect any restoration would have to make compromises based on the limitations of their source prints, but it's hard to see any compromise here. Criterion's 1080p transfer offers sharp image detail, strong black-and-white contrast, and a fine grain structure that really makes the film pop. The look is so consistent throughout, I honestly can't spot a noticeable dropoff or flaw of any kind. It's difficult to envision a superior version of this film. The linear PCM mono audio track is sharp and relatively flat, as the original audio mix was. The sound design qualifies as strictly functional with dialogue and a Franz Waxman score the only relevant elements. It's all clearly mixed and consistent throughout. Optional English subtitles support the English dialogue. Criterion has stacked this new high-definition release with an impressive selection of extras, though only a few are new for this Blu-ray. The film is accompanied by a 2004 commentary track by film scholar Jeanine Basinger. “In Search of Tracy Lord” (2017, 22 min.) details some of the real-life inspirations for Hepburn's signature character, inspirations which include Hepburn herself along with a few people in playwright Philip Barry's life. This feature combines interviews with Miranda Barry (Philip Barry's daughter), Janny Scott (granddaughter of Edgar and Hope Scott, the latter considered to be an inspiration for Tracy Lord), and Donald Anderson, author of a book on Philip Barry's plays. “A Katharine Hepburn Production” (19 min.) is a new piece about Hepburn's role in shaping the film from the very start, and mixes interviews with filmmakers David Hedley and Joan Kramer. Criterion has also unearthed a “Lux Radio Theatre” performance of “The Philadelphia Story” which was broadcast on June 14, 1943, and stars Loretta Young, Robert Taylor, and Robert Young in the three leads. Cecil B. DeMille serves as your host for the evening. My favorite feature on the disc is a “Restoration Demo” (6 min.) with Criterion's expert technicians explaining the challenges in restoring the film, most of which stem from the fact that the original camera negative was lost in a 1978 fire at the George Eastman House. The slim fold-out booklet includes an essay by critic Farran Smith Nehme. A fantastic transfer and a stacked offering of extras. Fans of the film could hardly ask for more. No, that's not the set-up for a low-budget crime caper or Western, it's the set-up for actual film history. OK, perhaps the Motion Picture Patents Company (AKA The Edison Trust) wasn't an actual crime syndicate, but their rigorous enforcement of the stranglehold they held on crucial motion-picture equipment patents forced many independent New York-based filmmakers to devise more innovative methods of production. One of the simpler strategies was to hop the ferry across the Hudson River to New Jersey, where it would be at least somewhat more difficult for Trust detectives to muscle out the competition. 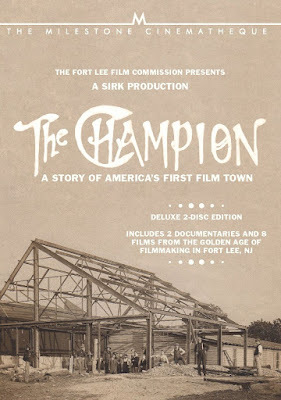 Film producer Mark Dintenfass was one of the first to make the leap, setting up his Champion Studios in Fort Lee, NJ, which kicked off a movie boom as other producers soon made the same move, all of which explains the title of the new documentary, “The Champion: A Story of America's First Film Town” (2015). Produced by the Fort Lee Film Commission, directed by Marc J. Perez, and based on the book “Fort Lee, the Film Town” by Richard Koszarski, this sleek 35-minute documentary tells the story of the rise and fall of this pre-Hollywood movie mecca and the colorful personalities who flocked to it, and then soon fled. 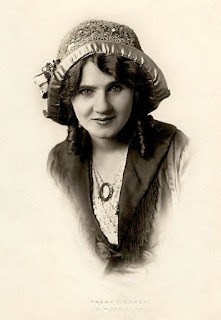 The list includes Florence Lawrence, often described as the first American actress to be studio-marketed by name; Theda Bara, who first vamped world audiences from Fort Lee; and trailblazer Alice Guy Blache, the first woman to run an American studio (Solax). Future Hollywood moguls such as Mack Sennett and D.W. Griffith filmed in Fort Lee as well. Dintenfass's Champion cranked out a series of Westerns and Civil War pictures for a few years, before falling to local competition. The documentary, largely filmed on Fort Lee locations, vividly evokes the specific spaces of this old boom town, from Rambo's Hotel on the main street to the steep Palisades nearby which would provide the backdrop for many of the earliest (literal) cliffhangers. The Fort Lee boom wouldn't last long, petering out due to a host of factors: the waning of the Edison Trust's powers, war-time shortages, a flu pandemic that hit the northeast particularly hard, and, of course, the rise of Hollywood, California. 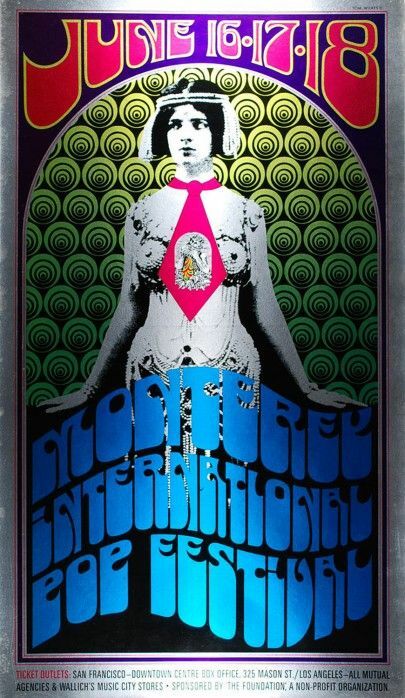 But during its brief peak, the town still produced a plethora of significant early films. 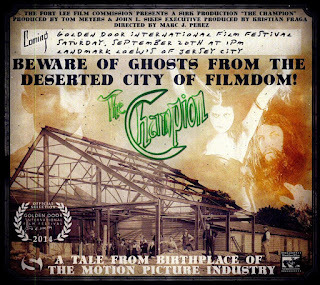 Even with its short running time, “The Champion” pauses to mourn Fort Lee's fall from glory (as “the first film town” anyway) and particularly the degree to which even locals, let alone the rest of the world, have largely forgotten its movie history. Never fear. This sharp, engaging, and informative documentary brings this vital story back to life with passion and clarity, and once you've seen it, you'll never forget about Fort Lee's role in the formative years of the industry. Still, at just 35-minutes, “The Champion” might be a tough sell as a stand-alone disc, but you may not be aware that this a Milestone Films release. And the name Milestone guarantees not just supreme quality but also a comprehensive roster of supplemental features on any release, and in this case, enough to expand “The Champion” into a 2-disc set. Milestone has, in keeping with its glorious tradition, included not one, not two, not... aw heck, they've included nine additional films, all of which are accompanied by new scores. 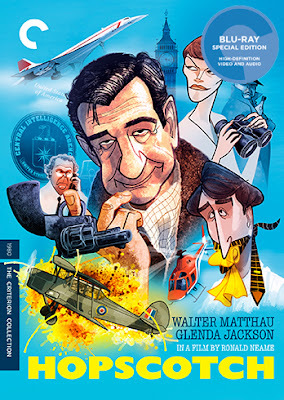 DISC ONE includes the main documentary feature, “The Champion” along with six other films. The first five extra films on the disc were shot at Champion from 1910 to 1912. “The Indian Land Grab” (1910, 11 min.) tells the story of an Indian leader who petitions the federal government not to seize his tribe's land. You might groan a bit at the prospect of a film from this era depicting Native Americans, but the film portrays them as the aggrieved party out for justice and even takes time out for the Indian leader to fall in love with the daughter of a legislator which, according to the notes included with this set, generated controversy at the time. “A Daughter of Dixie” (1911, 10 min.) presents viewers with an innocent, true-hearted Southern belle whose loyalties are torn when her brother joins the Confederacy and her boyfriend joins the Union. It's no masterpiece, but at least it doesn't indulge mindlessly in the pro-Confederacy nostalgia that was the coin of the realm in so much early cinema. “Not Like Other Girls” (1912, 9 min.) was shot for Universal Victor, a studio built primarily around Florence Lawrence, often called America's first named movie star. This was a bit of a thrill for me as I've actually lectured on Florence Lawrence without ever seeing a full movie with her before. 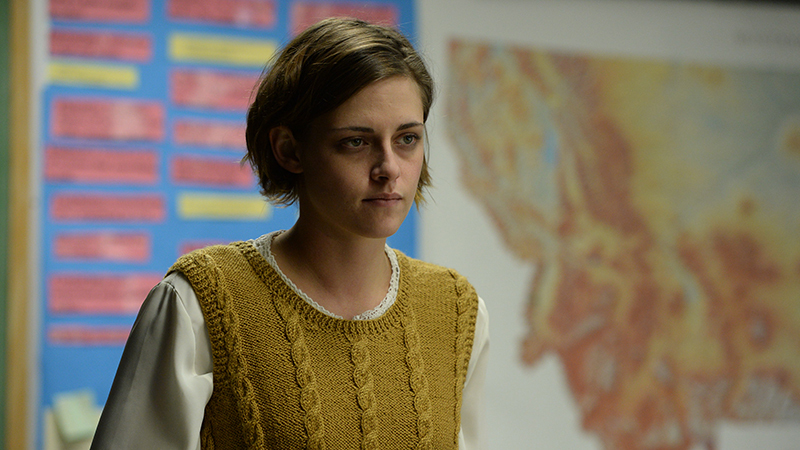 Lawrence plays another true-hearted heroine who proves she doesn't love her beau just for his money. The movie is predictable fluff, but I give a big thumbs up to F-Law. “Flo's Discipline” (1912, 11 min.) 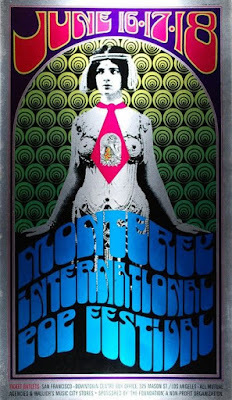 is another Florence Lawrence vehicle that is, alas, not as saucy as its title teases. Lawrence plays a teacher tasked with taming an unruly boys' school which requires a good deal of ingenuity and assertiveness on her part. Lawrence is no shrinking violet here, and the movie is a lot of fun. “Marked Cards” (1913, 10 min.) was one of the last of Champion's films and it doesn't do much to argue that the brand should have continued. A banker gets ripped off in a crooked card game and seeks revenge in a rather half-baked manner. It's much hard-boiled then the other films on the disc, but not particularly successful. 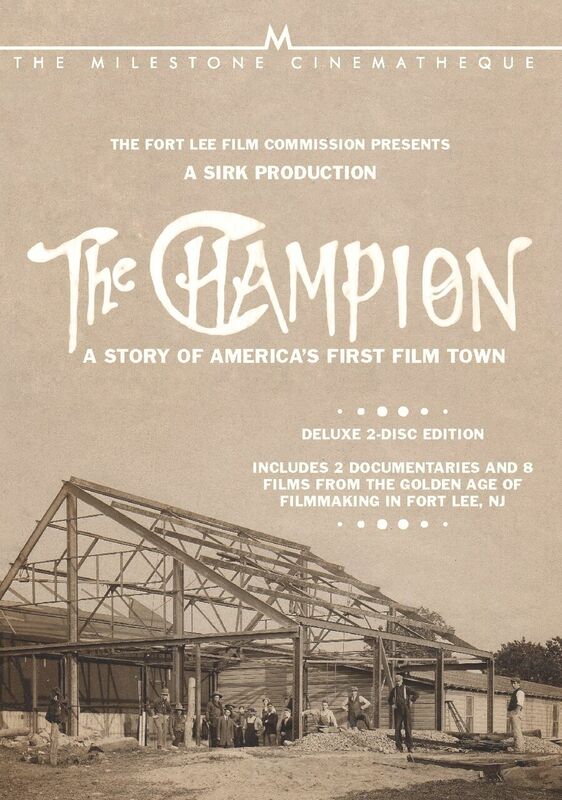 DISC TWO offers three silent films also shot in Fort Lee, though not specifically for or at Champion. “The Danger Game” (1918, 61 min.) is an early Samuel Goldwyn production, directed by Harry Pollard and starring Madge Kennedy, a Broadway comedienne then making the jump to the suddenly (somewhat) legitimate big screen. Kennedy plays Clytie Rogers, a sheltered young woman of privilege who fancies herself the next great American novelist. When her first book (published largely because of her well-connected father) is panned by a critic who accuses her of being too naïve to write convincingly about the world, she vows to prove she can commit to a life of crime. Hilarity ensues. The film adopts an ambivalent if not outright condescending view of the liberated post-war American woman, but Kennedy (perhaps best known to '50s audiences as Aunt Martha on “Leave it to Beaver”) is a game performer who throws herself headfirst into a series of challenges. “A Grocery Clerk's Romance” (1912, 8 min.) 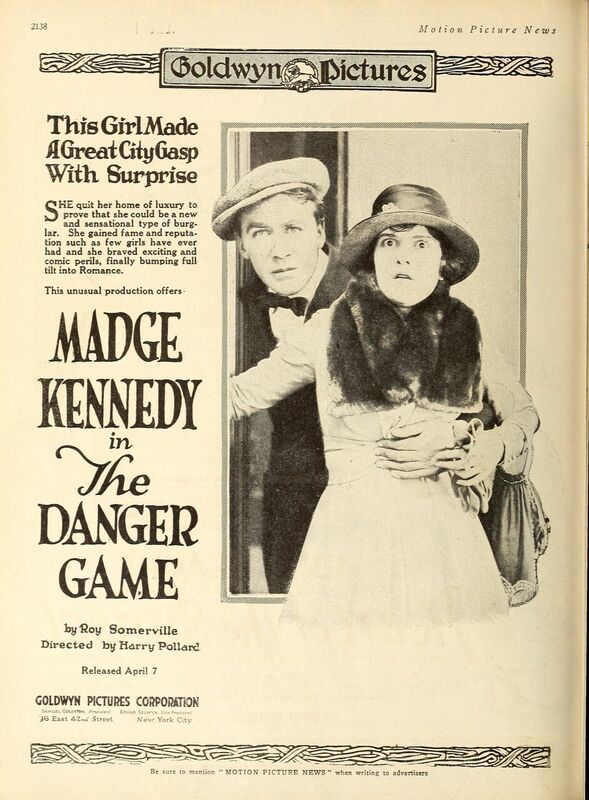 is an early Keystone Comedy directed by Mack Sennett which was shot at Rambo's Hotel in Fort Lee. It's not quite as zany or kinetic as more familiar Keystone comedies, but it's got plenty of pizazz, not to mention bombs and quickie marriages. Starring Ford Sterling. “Robin Hood” (1912, 31 min.) was shot at Eclair Studios, one of the most successful outfits to set up shop in Fort Lee. At a half hour in length and with some elaborate action sequences, it was a fairly ambitious undertaking for its time that remains quite compelling more than a century later. Obviously, with ten total films released as much as a century apart, the video quality varies considerably. I'll just note that “The Danger Game” required the most extensive restoration and is still missing some footage (replaced with stills here) and is at its most perilous state of decay in the first reel. It's amazing that the film survives at all, and the restoration to reach its current presentable state has been quite extensive, more heroic work from our great film restoration experts. Each of the silent films is accompanied by a new score. All of the films aside from “The Champion” on Disc One have music by Ben Model. “The Danger Game” has music by Donald Sosin. 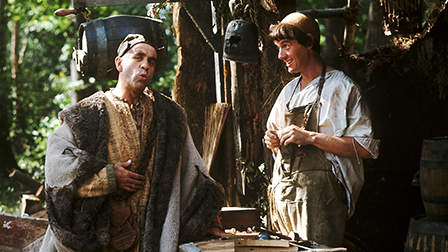 “A Grocery Clerk's Romance” and “Robin Hood” are accompanied with music compiled by Rodney Sauer and performed by the Mont Alto Motion Picture Orchestra. The “extras” are all described above. 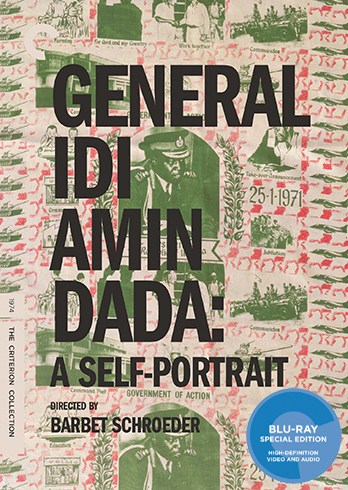 The only additional extra is the slim inert booklet with summaries and historical background for each of the films includes in this two-disc set. “The Champion” is yet another lovingly and meticulously curated release from Milestone Films, telling a vital and largely forgotten story about the formative days of the American film industry. The inclusion of a cornucopia of silent films, many never previously released on DVD and some painstakingly restored here, is a source of celebration for any true film lover. Plus you get two Florence Lawrences! Carl Theodor Dreyer's “Vampyr” (1932) shares several traits in common with Jacques Tati's “Trafic” (1971), also released by Criterion this month (Ed. 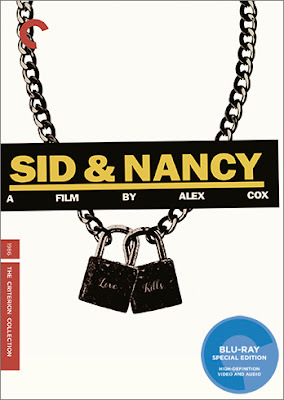 Note: Criterion released both films on DVD in July 2008). Both films were intended to be more commercially viable follow-ups to box-office failures; respectively, “The Passion of Joan of Arc” (1928) and “Playtime” (1967). 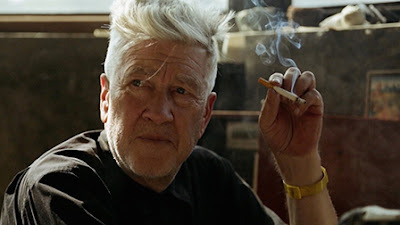 Both of those prior “failures” happen to be among the greatest films of all-time, each being comfortably ensconced in my personal top twenty, their box-office failure a testament to the failure of audiences (and maybe distributors, too). Another similarity merits further discussion. 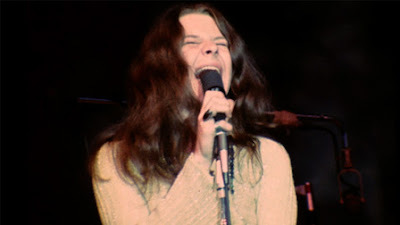 Both “Vampyr” and “Trafic” feature idiosyncratic, elaborate sound designs which distinguish them sharply from most other films. When I initially wrote this review, I described both movies as “feeling like silent films” which was not terribly accurate. 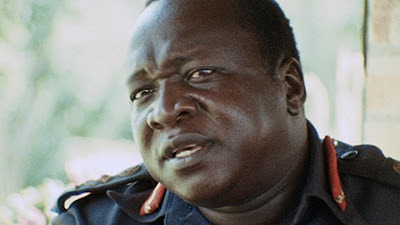 “Trafic,” like all Tati films, tells its story largely without words, while relying on the dense mix of sound effects and music to create a hermetic pocket universe. Tati-world resembles no other, but silent cinema it is not. 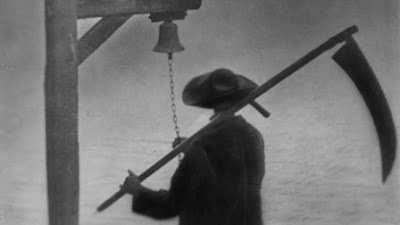 “Vampyr” also enjoys an otherworldly quality due in no small part to its sound design, but Dreyer didn't intend this from the get go. Dreyer, already one of the great masters of silent cinema, was somewhat reluctantly shooting his first sound project and had little interest in adapting his style, refined while working as a de facto independent filmmaker within the studio system. He shot the entire film without sound, and only recorded sound effects and voices (in three separate languages: German, English, and French) in post-production. With the need for heavy blimps to muffle the noise from loud camera motors and microphones with limited range, the cameras on many (though most certainly not all) early sound films were often anchored in place. Unburdened by synchronized sound, however, Dreyer's camera remained free to glide wherever he willed it to go, roaming alongside and well ahead of intrepid adventurer/ghost hunter Allan Gray (Julien West) on his rambling supernatural journey. 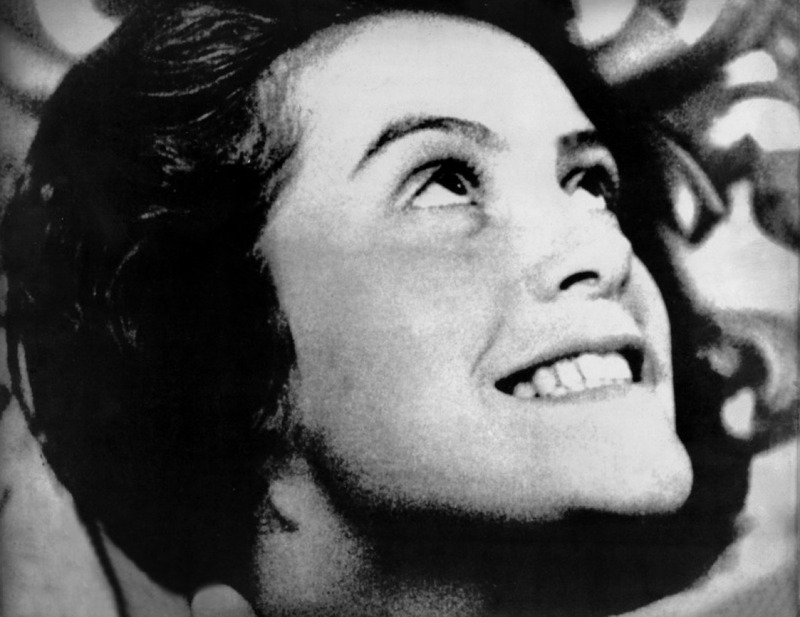 The tinny voices and exotic animal sounds (produced by local performers, not clipped from a sound library) combine with the gracefully untethered camera to lend the film a genuinely uncanny feel, a feel both perfectly suited to its pulpy material and all but unique to Dreyer's hybrid silent/sound film. “Vampyr” loosely adapts two short stories by Irish author Sheridan le Fanu, situating protagonist Allan Gray in a world with all the stock elements now familiar to the vampire genre, a genre which had enjoyed a mini-boom in literature and on the stage but had only made a minimal impact on cinema. Allan Gray materializes out of the fog with virtually no back story. During his “aimless wanderings” he happens upon an isolated seaside inn. A strange man, also appearing without warning, wanders into Gray's room and cries out, “She must not die!” Gray soon discovers that this man's daughter, Leone (Sybille Schmitz), teeters on the brink of death, plagued by strange bite marks on her neck, while a creepy doctor (Jan Hieronimko) provides her dubious care. You know where this one's going, but most 1932 audiences probably didn't. Gray, unable to sleep, wanders through the inn at night and then to the abandoned house out back where he encounters an array of spooky sights and sounds. Shadows dart across the moors, one appears to be “undigging” a grave, another peg-legged shadow moves independently of its more human (?) counterpart. Gray does little but gawk at these supernatural displays, sometimes appearing to have no reaction at all. This is partly attributable to the fact that lead Julian West is really Baron Nicolas de Gunzburg, a non-professional actor who agreed to finance the film only if he got to star in it was well. His Allan Gray is bizarrely passive, which might sound like a flaw, but only further contributes to the unnerving quality and free-floating anxiety of Dreyer's immensely strange film. And it sure is strange. Dreyer exhibits minimal interest in providing clear match cuts or other expected standards of film grammar (of which he was, let's once again note, already a master), rendering the timeline and especially the screen geography downright confusing and disorienting at times. There is no clear flow from room to room, from one location to another. 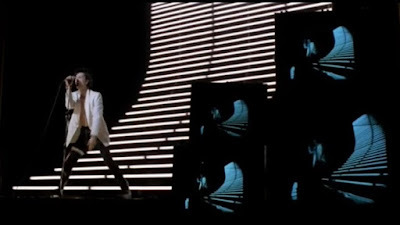 Gray and other characters wander in and out of shots, which oscillate from point-of-view shots to objective shots, then back again. Is everything being filtered through Gray's perception, or have we entered a netherworld where the rules of time and space and logic simply don't apply? It doesn't become any clearer on multiple viewings, one of many reasons “Vampyr” is one of the most enjoyable horror films ever made. That reminds me. I've made it this deep into the review without even mention the titular “Vampyr,” haven't I? Oh well, you'll have to discover that for yourself as well. If you dare! This version of “Vampyr” is based on a 1998 restoration by Martin Koerber, as was Criterion's 2008 DVD release. This 1080p transfer still shows the scratches and other damage visible from the film's very old source print, but they seem less prominent in parts on this high-def upgrade. Overall, the image quality is quite sharp with an appropriately grain feel that's only occasionally a bit washed out due to likely boosting necessary to buff the image. The old DVD looked pretty darn good, but this 1080p transfer is a meaningful improvement for a film that more deserves the very best. The film is presented in its original 1.19:1 “pillar-boxed' aspect ratio, a ratio only common for a few of the early years of sound cinema. The film is presented with a linear PCM mono sound track. I can't say I notice a huge difference from the old SD Dolby Digital mono mix, but it's a bit sharper and still preserves that tinny, haunted quality so crucial to the film's success. Optional English subtitles support the German audio. This Blu-ray imports all of the extras from the 2008 SD release with no new features added. However, the Blu-ray is now a single disc compared to the old 2-disc DVD release. The film is accompanied by a 2008 commentary track by film scholar Tony Rayns. Rayns is one of the very best in the game and his commentary is packed with information and analysis and is riveting from start to finish. 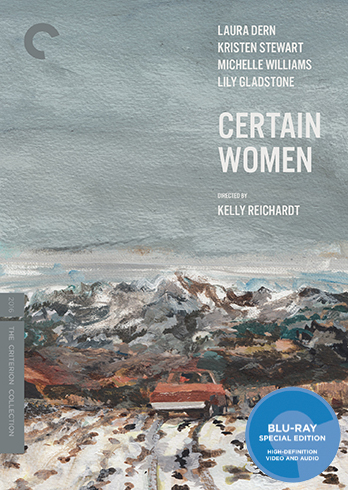 Criterion has also included as “English Text” version of the film. As mentioned above, Dreyer shot in three languages. 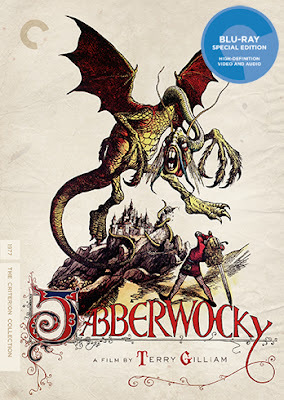 Though it's a sound film, he also includes silent-style title cards and this “alternate” version includes English text for those title cards instead of the German text in the more common version. The film is otherwise just about the same. “Carl Th. Dreyer” (30 min.) is a 1966 documentary directed by Jorgen Roos on the occasion of the release of Dreyer's final film, “Gertrud” (1964). 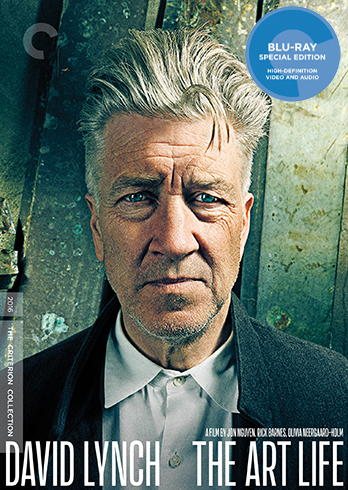 It touches on his pre-“Joan of Arc” career, which many Dreyer fans might not know as much about. I greatly enjoyed the “Visual Essay” (2008, 36 min.) by film scholar Casper Tybjerg. Tybjerg discusses many of Dreyer's influences and also analyzes stills and clips, including some material removed by censors. We also get a 1958 radio broadcast (23 min.) in which Dreyer reads an essay about film-making. The Blu-ray is stored in a keep case which is tucked into a slip case alongside a very thick booklet, reproduced from the 2008 release. This very thick booklet includes the film's screenplay by Dreyer and writer Christien Jul along with Sheridan Le Fanu's short story “Carmilla” (1872), one of the sources from which “Vampyr” was loosely adapted. “Carmilla” is one of the classic pre-“Dracula” vampire stories and also features a lesbian subtext (more text than subtext, really) that Dreyer omitted from the film. In addition to this additional booklet, Criterion has also included a more typical insert booklet, tucked into the keepcase along with the disc, which includes an essay by critic Mark Le Fanu, an essay by novelist Kim Newman, and an essay by Martin Koerber about the film's 1998 restoration. The booklet also includes a short interview with actor/financier Baron Nicolas de Gunburg, originally published in 1964. 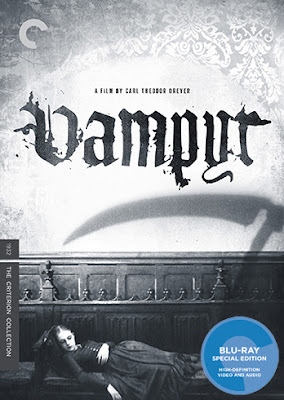 I used to think “Vampyr” was a great film, and certainly a unique entry in the horror genre, but clearly not on par with Dreyer masterpieces such as “The Passion of Joan of Arc” and “Day of Wrath” (1943). Now I see it as one of his most audacious and formally daring films, and quite possibly the best horror film ever made by anyone other than Stanley Kubrick. This Blu-ray upgrade more than does justice to Dreyer's remarkable and unparalleled achievement, and kudos to Criterion for once again including the marvelous supplemental booklet with both script and Sheridan Le Fanu story, a nice bonus for an already impressive package.